Price is right is a very popular game for parties and Bridal Showers. I have made free printables for this game in four colors which are red, pink, lilac and a greenish color. You can choose and print any of these colors that matches your bridal shower party's theme. How to Play: You have to do a little market survery and note down the prices of the things mentioned in the list. 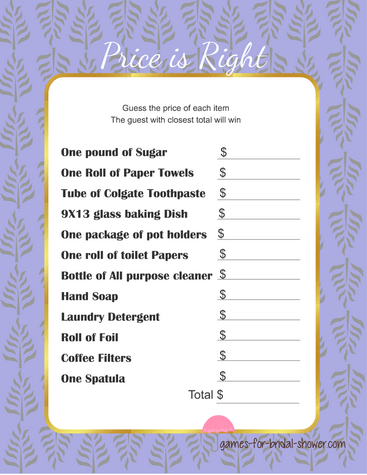 You can also purchase these items and later give these to newly weds as a gift. In order to play this game, distribute the printed game cards among your bridal shower guests with a pen or pencil. Guests will have to guess the price of each item in front of it. 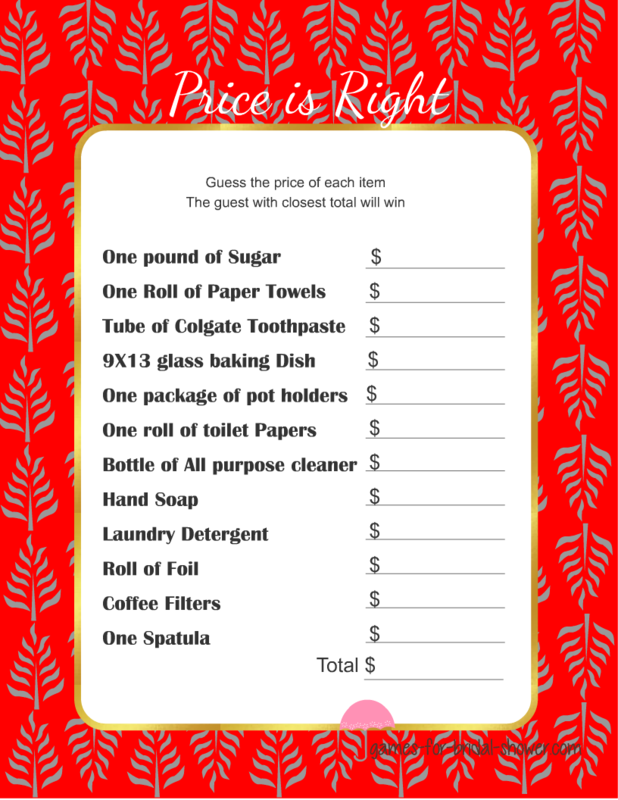 The guest whose total is closest to the actual total amount will be the winner. 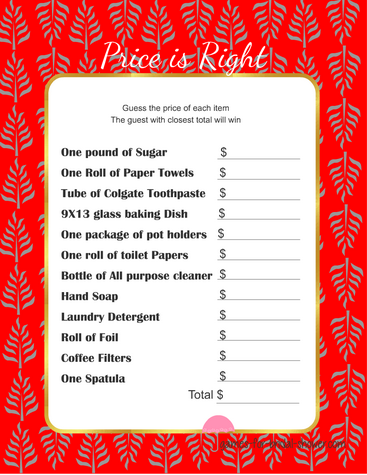 This is a cute printable image for bridal shower price is right game in red color. In order to save the printable version, click on the imagesahred above and right click and save the bigger printable version to your computer. This is free printable game in adorable pink color.This is my most favorite color among all the game cards that I have made for this game. I am sure that your guests will not only like the games from my website but they will also appreciate the graphics. This is a free printable game card for Price is Right game in Lilac color. You can save and print this game using your home printer at any time. You can also print these games using a black and white printer but these are more fun in color.